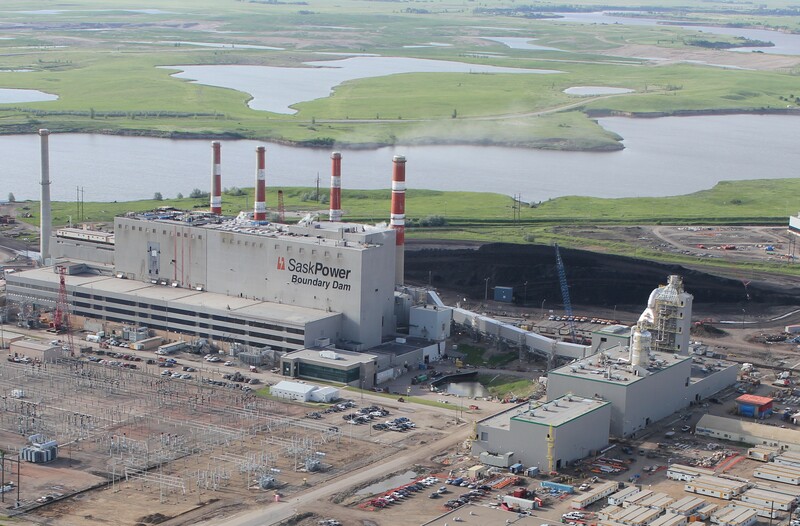 SaskPower’s Boundary Dam CCS Project (BD3), located near Estevan Saskatchewan, Canada is the world’s first fully integrated and full-chain carbon capture and storage (CCS) facility on a coal-fired power plant. The full chain cluster of facilities is within close proximity to the BD3 facility, providing for a full demonstration and operation of proven and safe CCS. This comprehensive commercial operating experience provides insight into technology and other requirements which are not available anywhere else. The Carbon Capture Facility is attached to the retrofitted 150 MW Power Unit #3 at Boundary Dam. It captures the carbon dioxide (CO2) instead of it being released into the atmosphere. This reduces carbon emissions from the coal-fired power unit, while producing a reliable, clean source of energy. 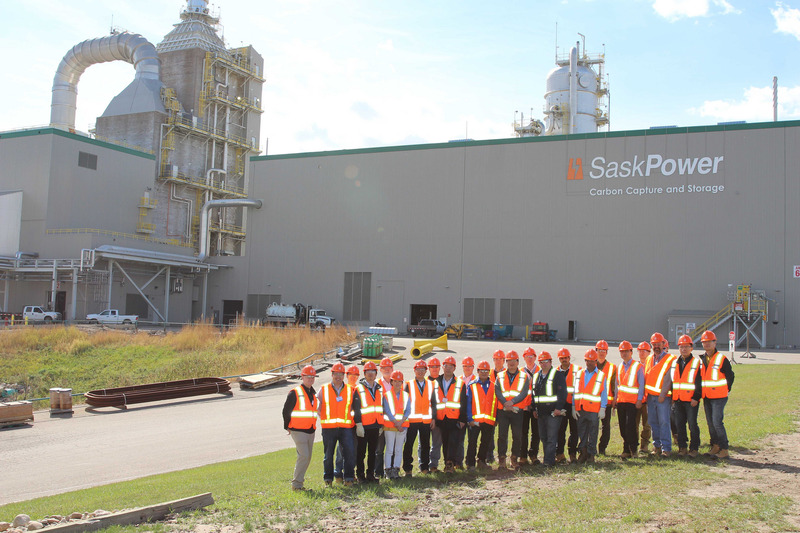 With the decision to add CCS to the aging Unit #3, SaskPower transformed it into a reliable, clean, long-term producer of up to 115 megawatts (MW) of base-load electricity. See virtual tour of the capture facility. The Carbon Capture Facility is capable of reducing greenhouse gas emissions by up to one million tonnes of carbon dioxide each year - the equivalent to taking 250,000 cars off the road. 50% of the Nox. As well as various harmful particulate matters. In addition, the project allowed for the manufacturing other products from the byproducts captured. With the capture of sulphur dioxide, it is then converted to sulphuric acid and sold for industrial use. Fly ash, a byproduct of coal combustion, is sold for use in ready-mix concrete, pre-cast structures and concrete products. Once captured, CO2 from BD3 becomes a commodity and is sold to an oil company for Enhanced Oil Recovery (EOR) purposes. This process of EOR utilizes CO2 to maximize the removal of oil from reservoirs. The captured CO2 is transported by pipeline 50 kilometres to nearby oilfields. In the case of BD3, the commercial sale of CO2 becomes a source of revenue and helps to offset the cost of the capture process. The CO2 that is injected into oil reservoirs is recycled in the process without releasing to the atmosphere and eventually it is permanently and safely stored underground. The Aquistore Storage Project is an option for captured CO2 that is not intended for EOR purposes. Located 2 kilometres from BD3, CO2 is delivered to the Aquistore site via pipeline where it is injected 3.4 kilometres deep in a naturally occurring layer of brine-filled sandstone for permanent storage. Using advanced, measurement and monitoring procedures, the project is demonstrating that storing CO2 deep underground is safe and permanent. See aerial footage of Aquistore. For more information on EOR & storage, see this factsheet. The International CCS Knowledge Centre (Knowledge Centre) offers a unique, ‘real-world’ opportunity to test existing and new technology innovations; including associated knowledge and understanding to improve operational efficiency of capture systems. At the Knowledge Centre, we provide the ability to test technology advancements, so that challenges can be overcome – leading to the development and rapid commercialization of next generation post-combustion capture technologies. CCTF is a demonstration-scale test facility that enables long-term technology evaluation utilizing up to 120T/day of CO2 captured directly from the SaskPower’s Shand Power Station, a coal-fired power generating facility near Estevan, Saskatchewan, Canada. Technologies at Technology Readiness Levels (TRL) 4 to 7 may be tested at the facility. The CCTF is fully instrumented and enables testing and sampling to serve as a foundation for effective process control tool development and process simulation model development to ensure effective performance predictions. See virtual tour of the CCTF or the CCTF Fact Sheet to learn more. Situated at the Poplar River Coal-Fired Power Station in southern Saskatchewan, the ECRF enables the testing at TRL 3 through 6 of various technologies and processes for controlling emissions. This helps to determine how the technology will perform when fully installed at a power station saving time and money. The testing outcomes at the ECRF help determine flue gas conditioning efficiencies, energy requirements, and lifecycle costs. This facility is one of its kind in Canada that provides a viable, accurate, “real world” testing option rather than conducting tests in a pilot plant facility with a burner that could simulate a coal-fired boiler. The Knowledge Centre is actively building on the lessons from BD3 through the development of the Shand CCS Feasibility Study for second generation CCS. We are mandated to share our expertise to support the development of full-scale CCS on either power or other industrial applications. Reach out to us.